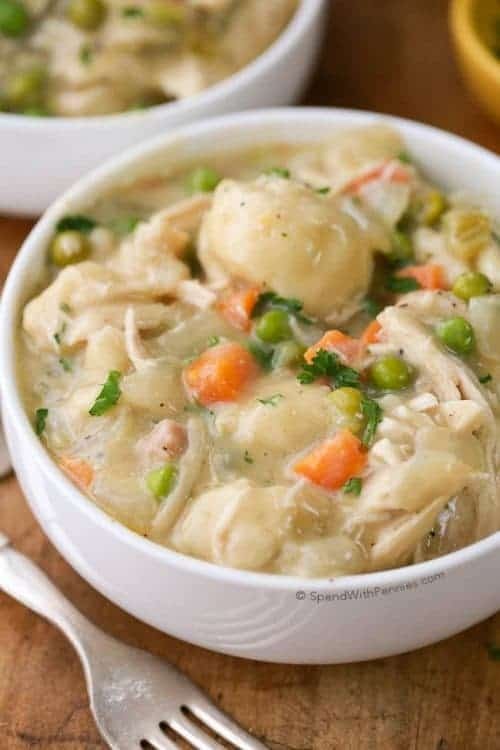 A good homemade Turkey Soup recipe a go to after holiday meals! 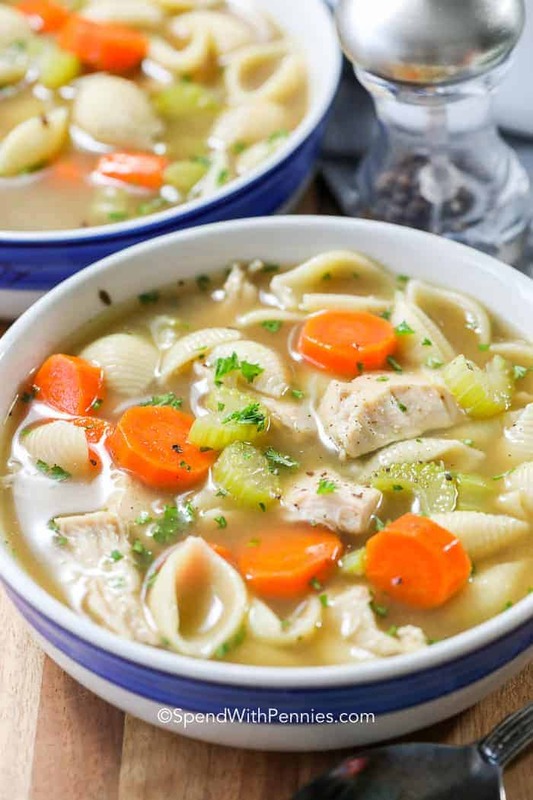 Tender chunks of leftover turkey, carrots, onions, celery, and pasta noodles are simmered in a delicious homemade turkey stock. 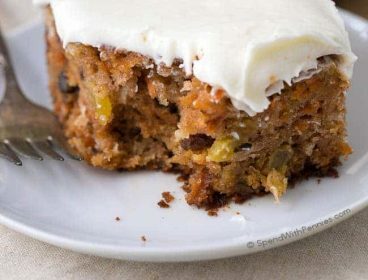 Serve it alongside some dinner rolls and transcend into comfort food heaven! 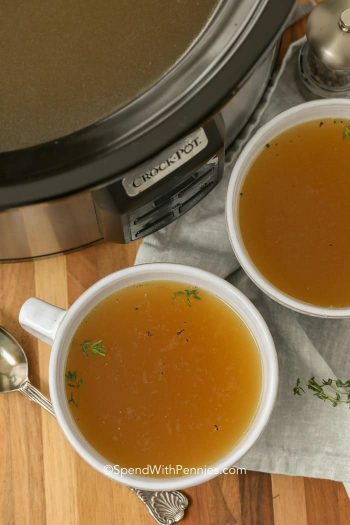 While this turkey noodle soup isn’t made in a Crock Pot, it only takes 25 minutes. What’s better than that? 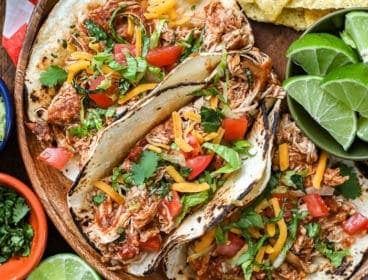 You can make this once you’re home from work, and have your kids fed by 6! When I make turkey soup from scratch, I like to use the leftover turkey from Thanksgiving dinner to make a homemade turkey stock. It’s really the best way to make it. 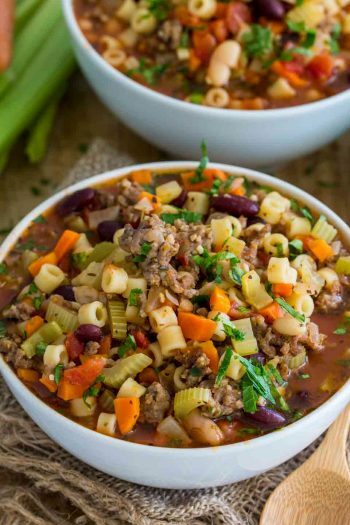 You truly cannot replicate the same flavor or texture in a store bought broth and the addition of leftover turkey meat is perfect in this soup)! If you don’t have turkey broth on hand, check with your local deli, they sometimes make it but of course chicken stock works too. I love the flavor turkey broth gives this homemade soup though! 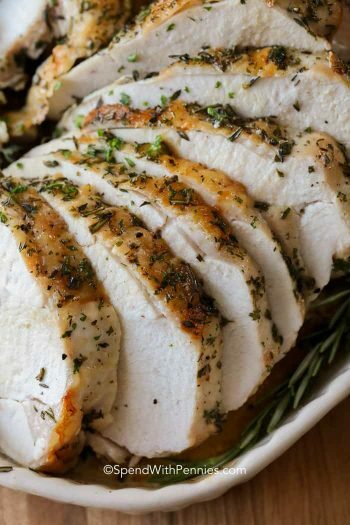 Add veggies, turkey, poultry seasoning and herbs and simmer a few minutes. Once the onion is softened, I stir in a tablespoon of flour. Of course this is optional but it’s kind of one of my favorite secrets for a perfect broth soup. It isn’t enough flour to thicken the soup but it just gives the broth a little bit of body. Once your turkey soup has simmered, the noodles are added to the pot. You can use any noodles you prefer, just adjust the cooking times accordingly. Cooking the pasta in the soup itself adds a ton of flavor to the noodles. It’s my favorite way to do it! 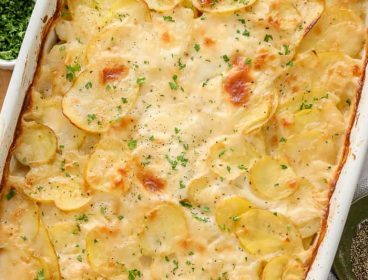 I like to use rotini or shells in this recipe and usually cook them a bit al dente before I serve up. The broth is hot and they’ll cook a little bit more while they sit in the bowl. 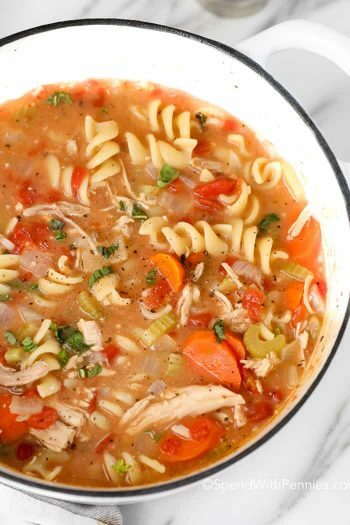 This turkey soup keeps for a few days in the fridge but it also freezes well meaning you can enjoy it all winter! I like to freeze it in individual freezer bags to make reheating the right amount easier. Pasta can sometimes change in texture when frozen and reheated. If you prefer, just omit the pasta and add it when you reheat it. I like to reheat turkey soup on the stovetop from frozen, but the microwave will work too. Make sure you don’t cook the pasta further while reheating. Nobody likes mushy noodles! 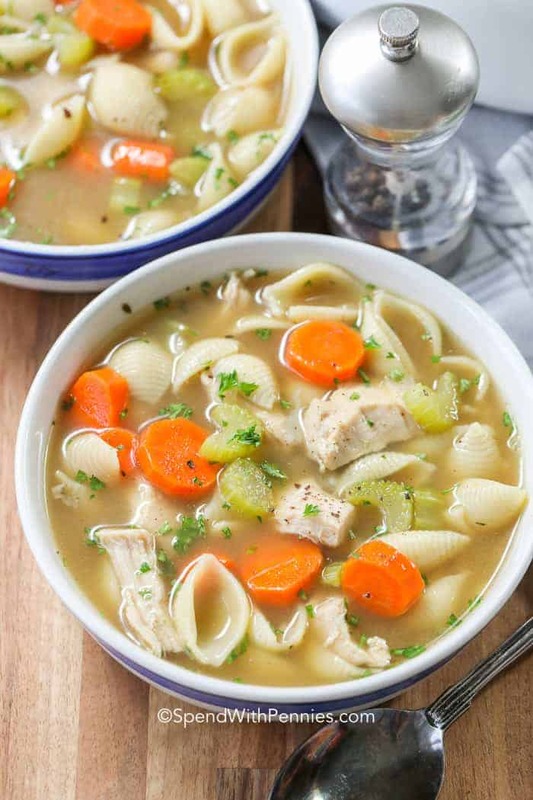 Broth based soups like turkey noodle soup generally aren’t thickened. 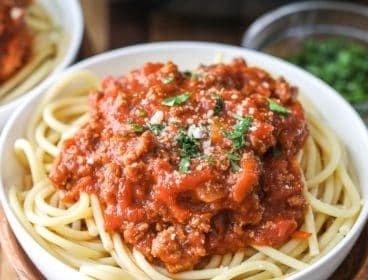 I add a tiny bit of flour to give the broth a little bit of body and the starches in the pasta do an excellent job at creating a silky broth that isn’t too thick or thin. If you prefer a thick broth soup, a quick slurry made from equal parts cornstarch and water will do the trick. Whisk it into the soup, being careful not to change the flavor of the light broth. 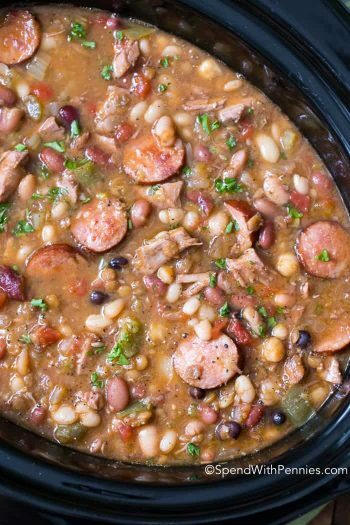 Remember to let it boil a minute or two with the slurry to get rid of any starchy flavor! Broth based soups are so much fun to get creative with! I love adding veggies diced red peppers, mushrooms, garlic, or herbs like rosemary and thyme. 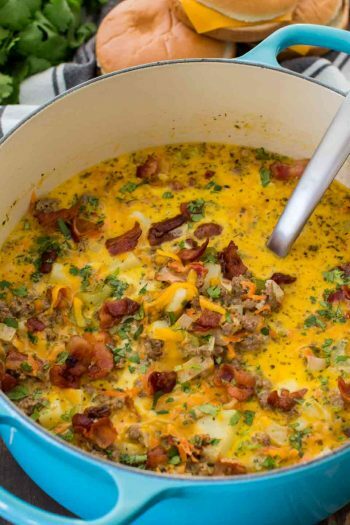 Leftover vegetables are a great addition (but skip the brussel sprouts, they can make this soup bitter). 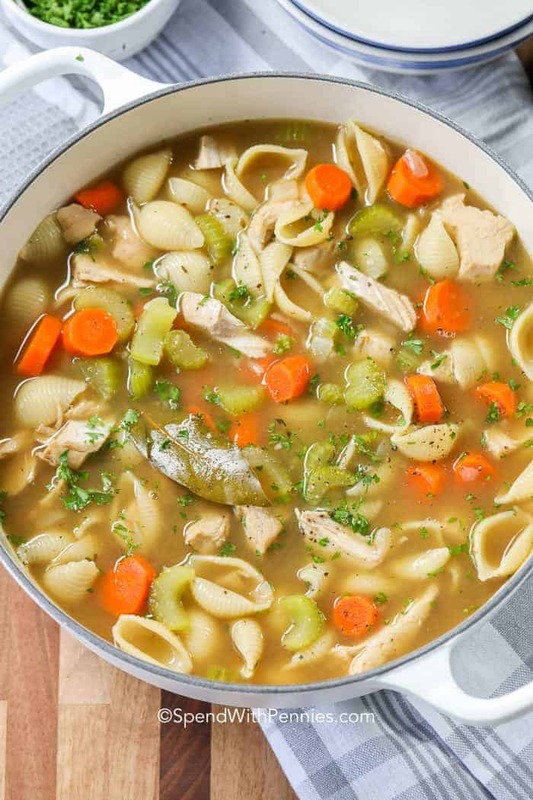 This turkey soup is forgiving, and the perfect soup to experiment with! 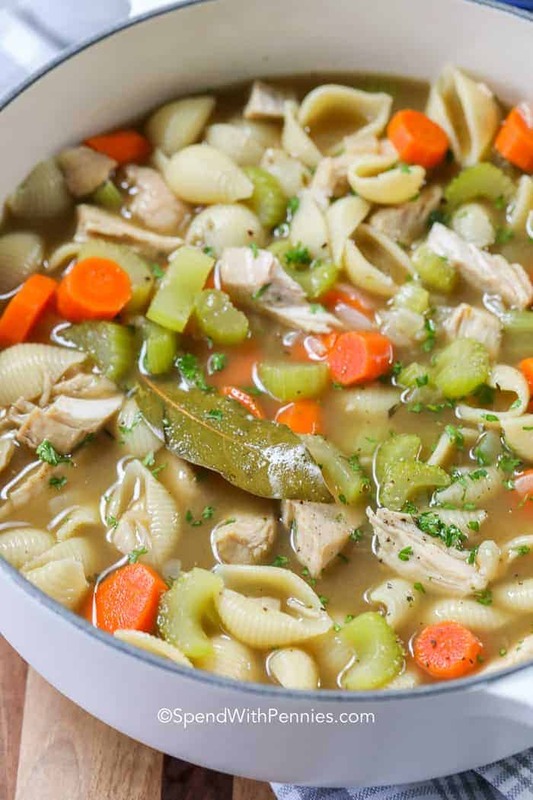 This easy turkey soup is a family favorite with a rich broth, tender vegetables and juicy leftover turkey chunks. 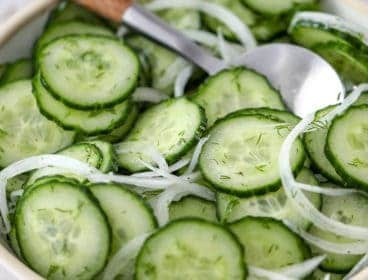 Cook onion in olive oil until tender, about 3-4 minutes. Add flour and cook 1 minute. Stir in carrots, celery, turkey, broth, poultry seasoning, bay leaf and salt and pepper to taste. Simmer 10 minutes. Add noodles and cook 8-10 minutes or until tender. Remove from heat, discard bay leaf and stir in parsley. 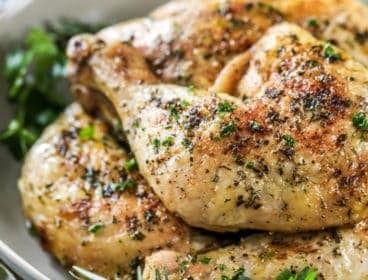 Chicken broth can be substituted for turkey broth.